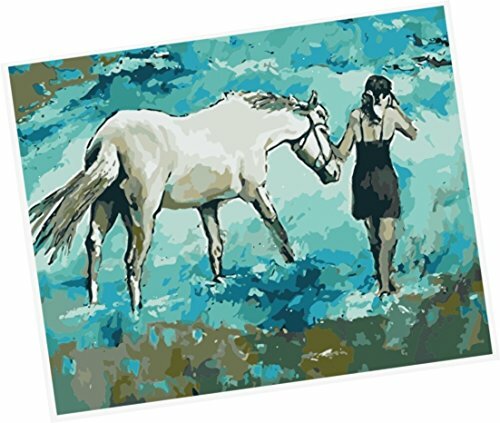 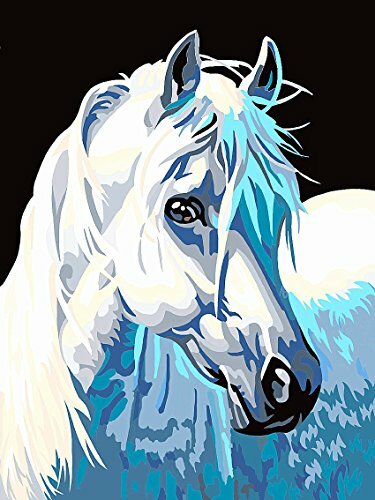 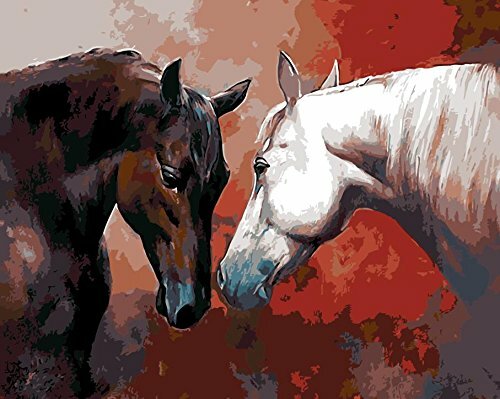 Are you looking for Horse Paint By Number Kits? 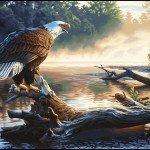 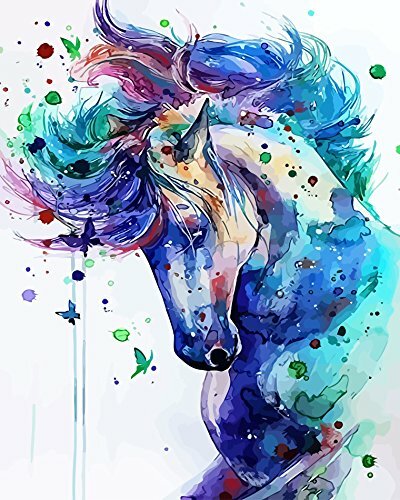 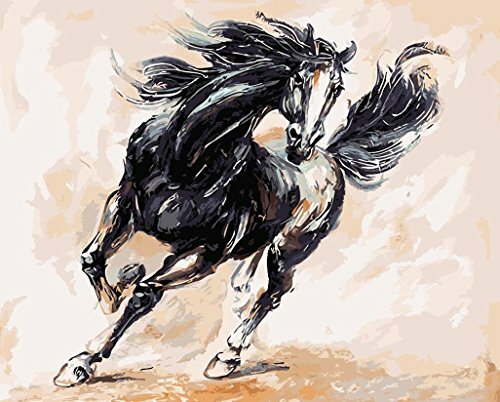 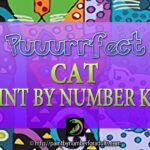 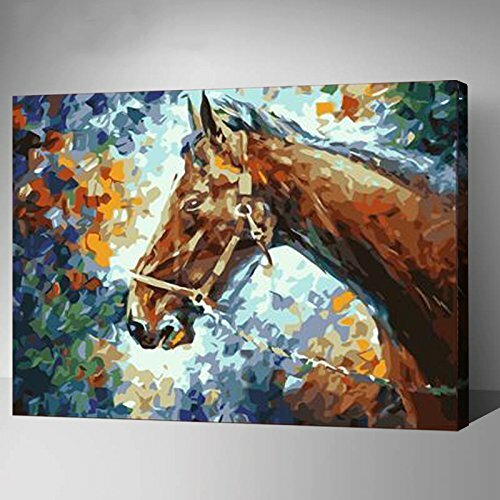 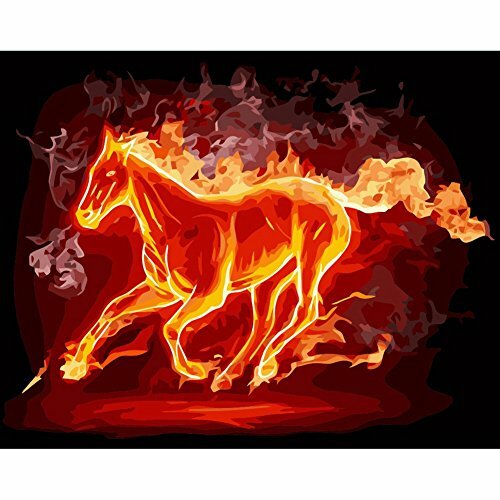 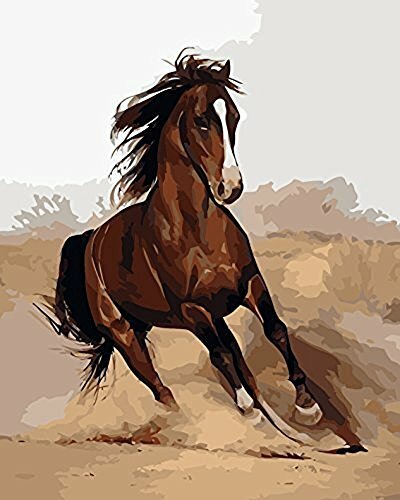 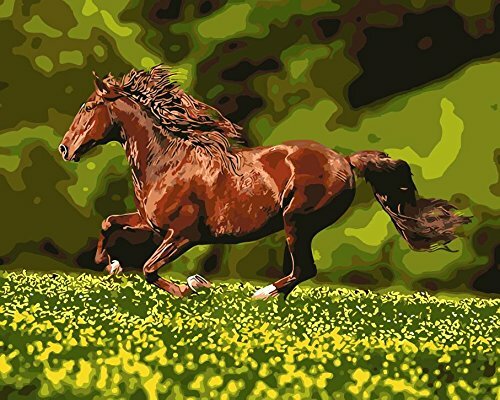 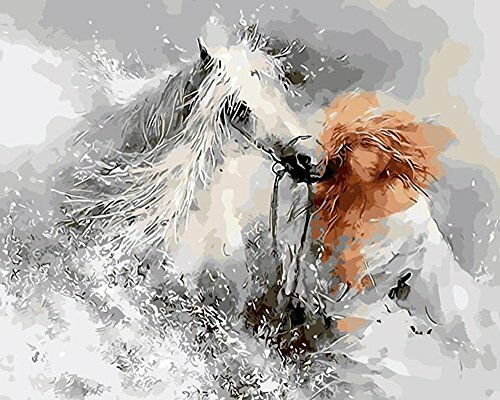 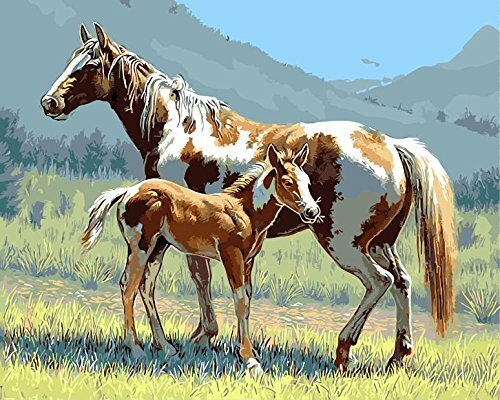 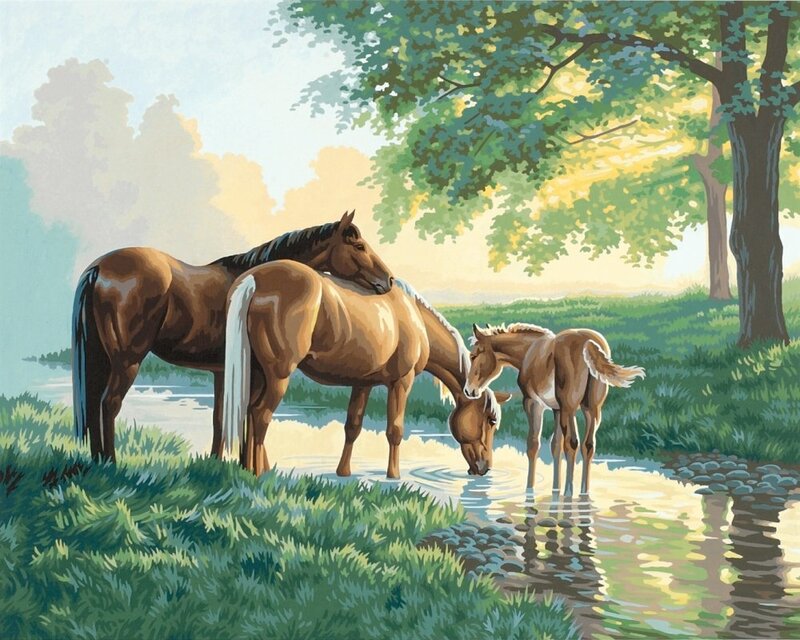 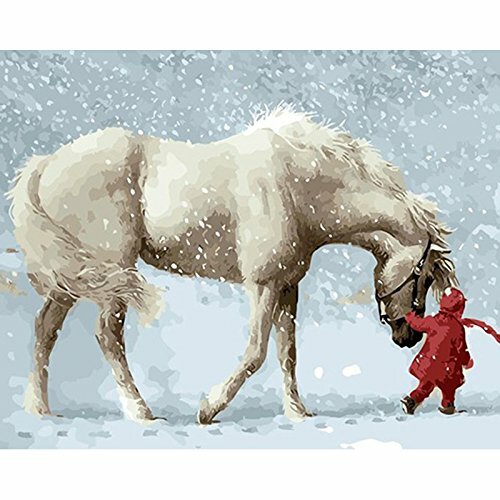 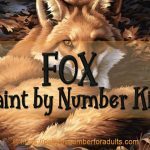 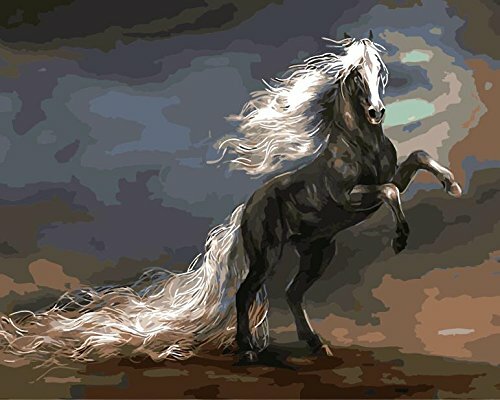 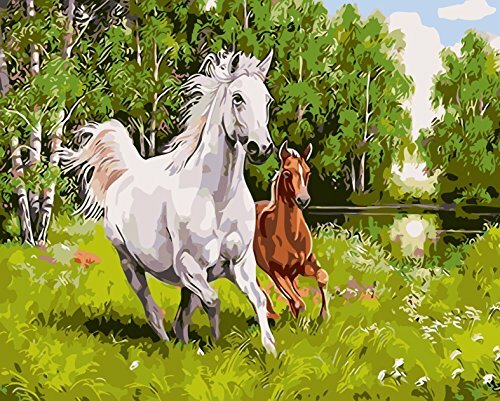 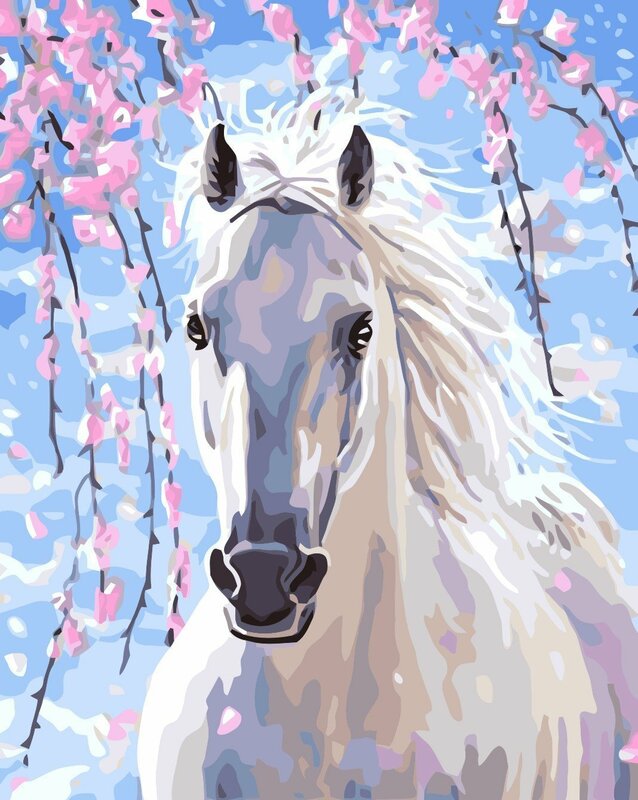 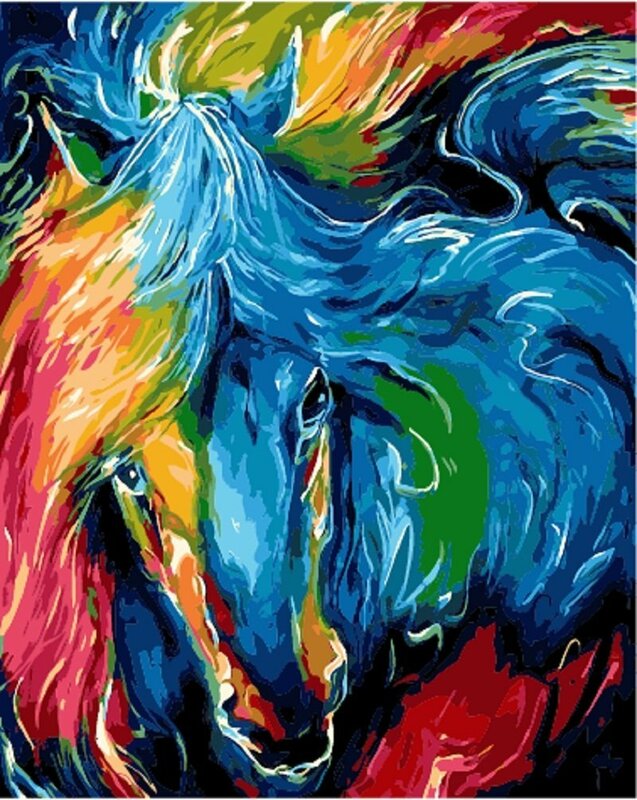 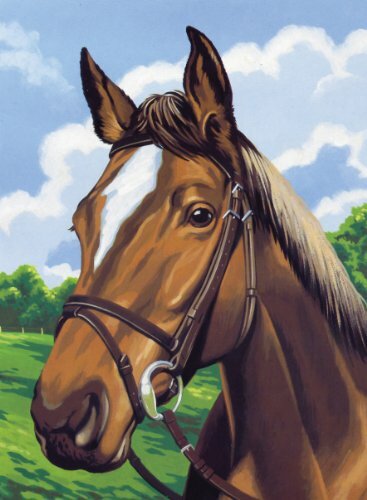 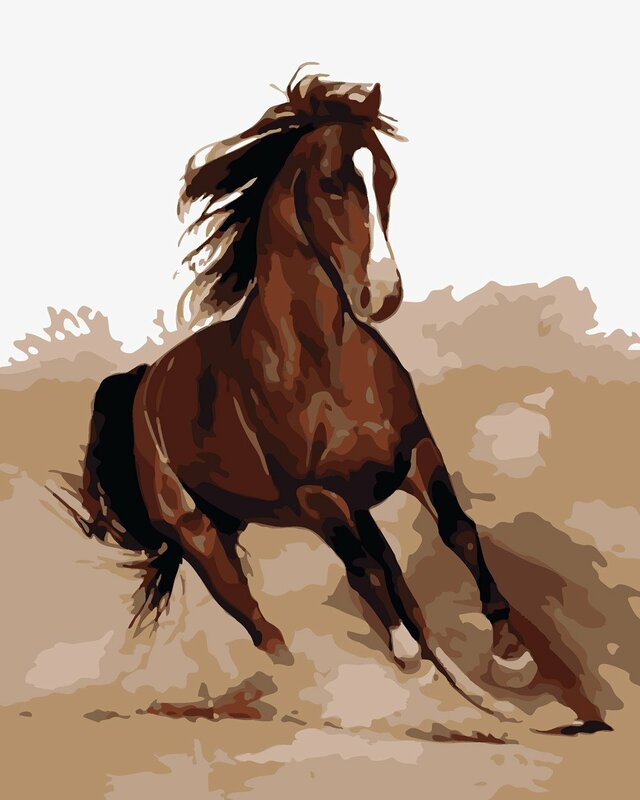 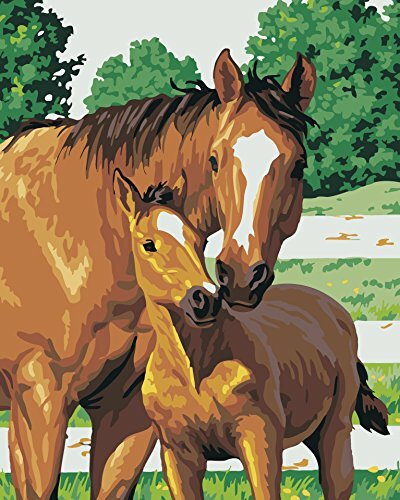 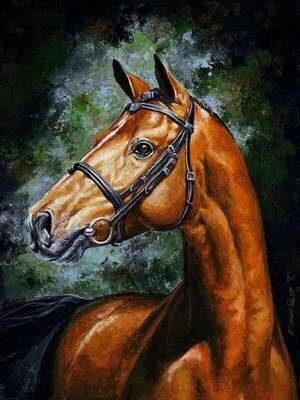 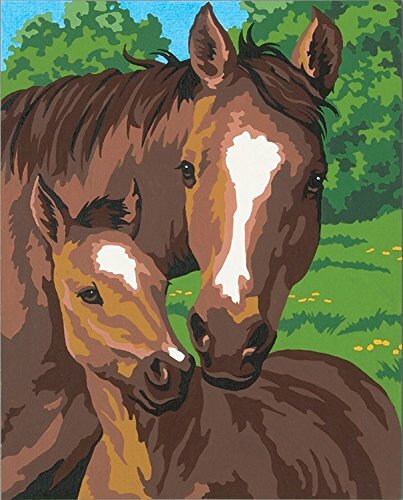 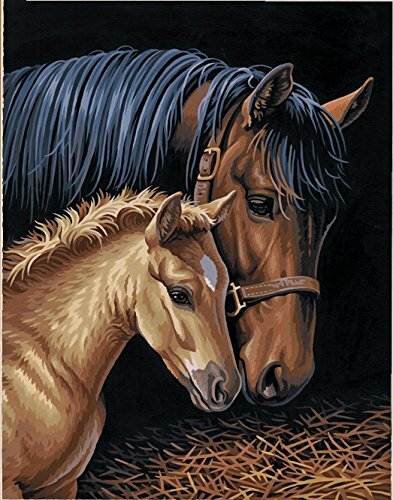 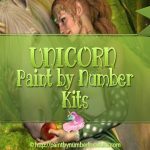 On this page you’ll find plenty of beautiful paint by number kits of horses! 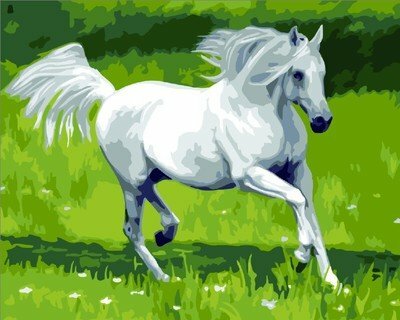 There is something very magical about horses. 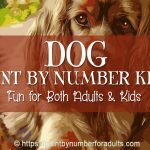 If you are lucky enough to spend any amount of time with them this becomes quickly apparent, yet it’s a sensation that is difficult to put into words. 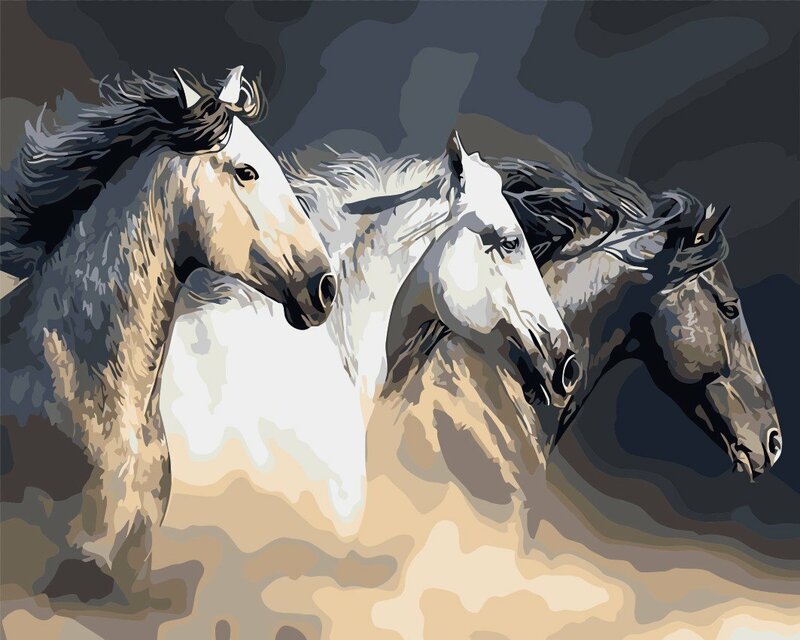 We love horses for what they embody: spirit, freedom, adventure, perserverance, and drive. 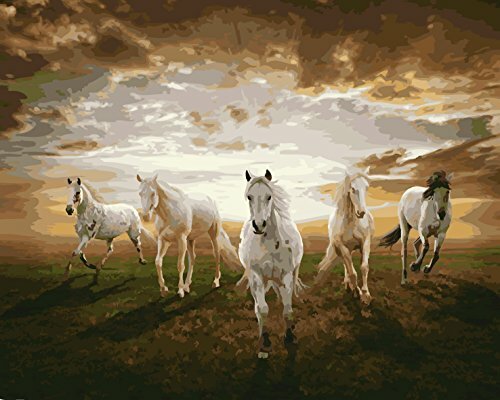 Horses are loyal, gentle, fierce friends and the ultimate travel companions willing to go the distance with you. 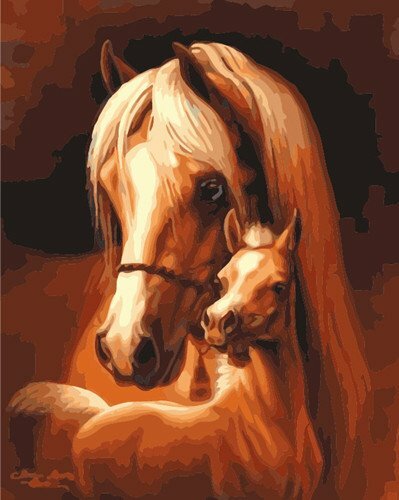 We think that we know a lot about horses, but maybe the best thing about horses is that there is so much we don’t know. 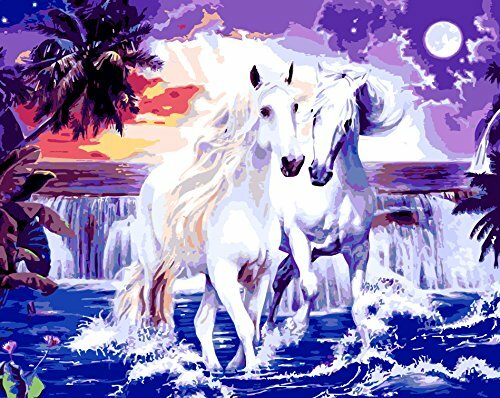 However, when we ask something new of them, they keep rising to the occasion, over and over again. 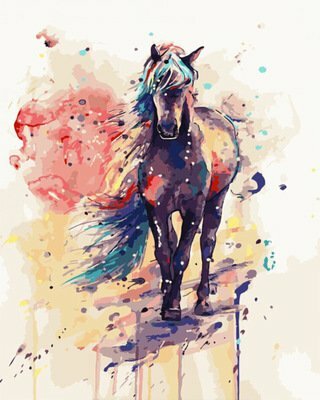 That may be the most magical thing of all. 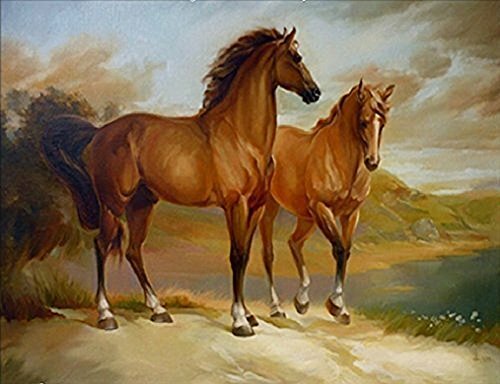 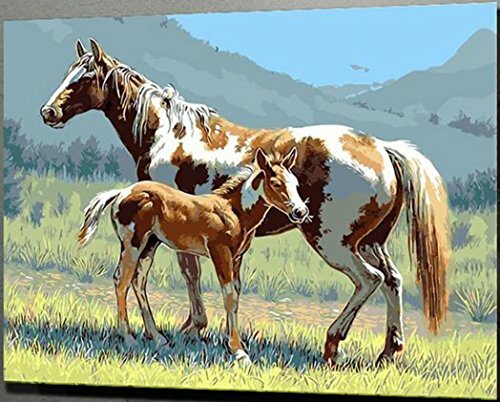 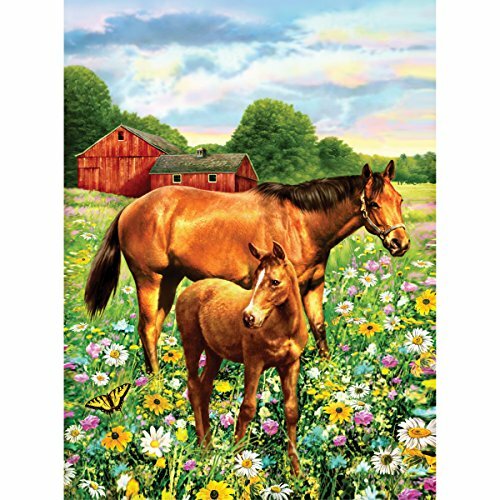 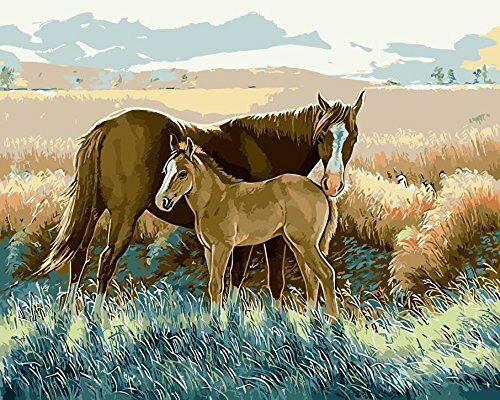 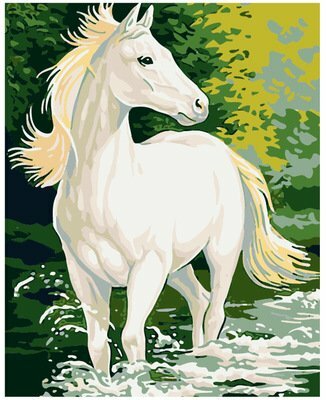 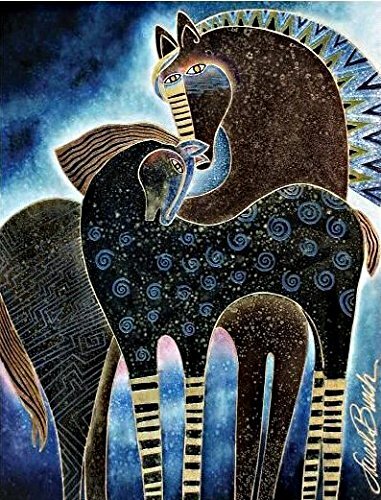 This beautiful Horses by a Stream Paint By Number Kit by Dimensions Needlecrafts PaintWorks is created using 18 acrylic paint colors both singly and mixed together. 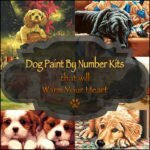 This beautiful Gentle Touch Paint By Number Kit by Dimensions Needlecrafts PaintWorks is created acrylic paints. 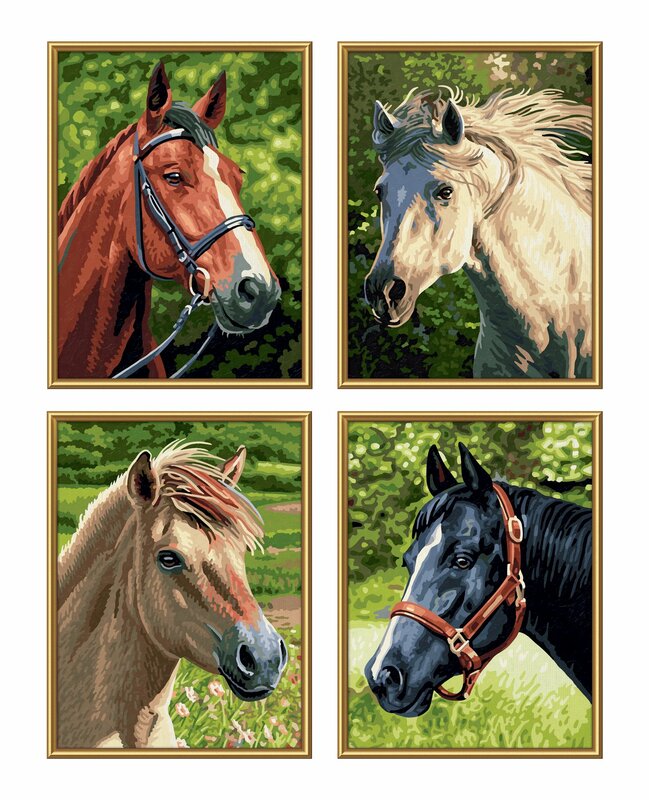 NOTE: This kit comes in two versions one with wooden frame on just a pre-printed canvas. 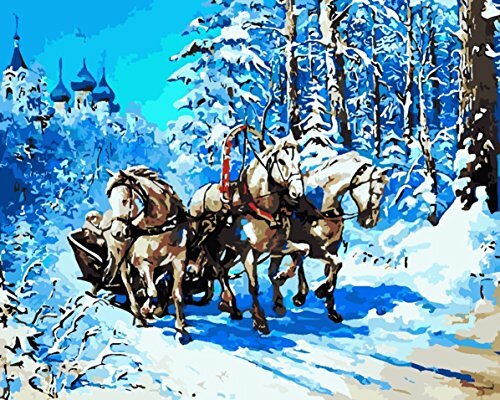 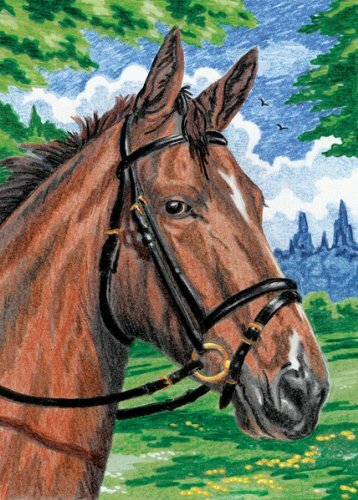 This beautiful Ready For The Ride Paint By Number Kit by Dimensions Needlecrafts PaintWorks is created using 18 acrylic paint colors both singly and mixed together. 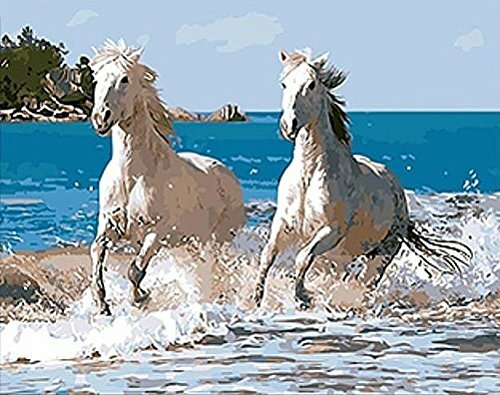 This Horse and Pony Quattro paint by number kit by Schipper paint by numbers comes from Germany and are reknown for their quality. 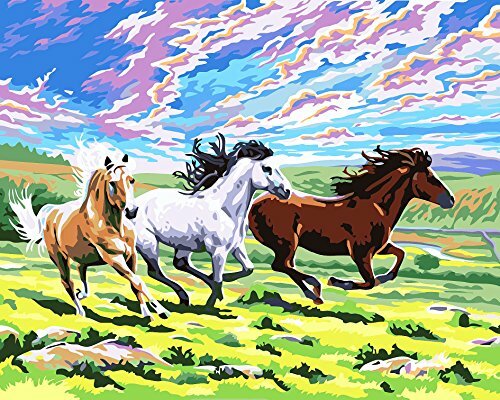 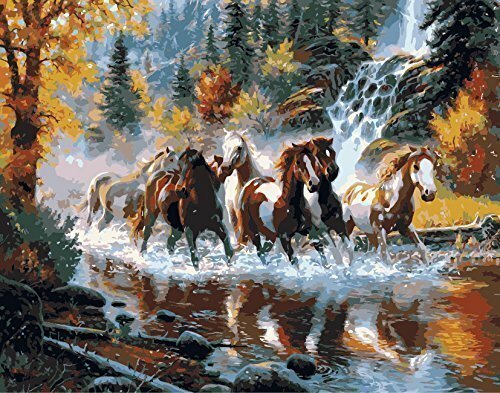 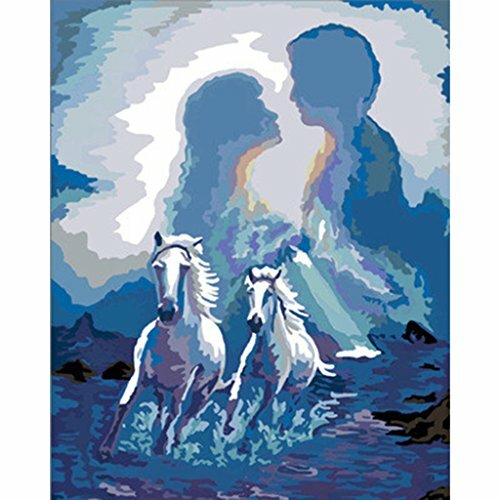 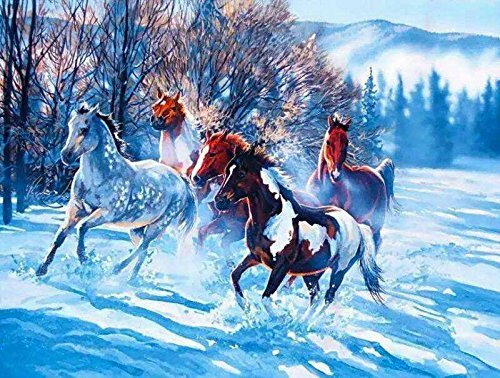 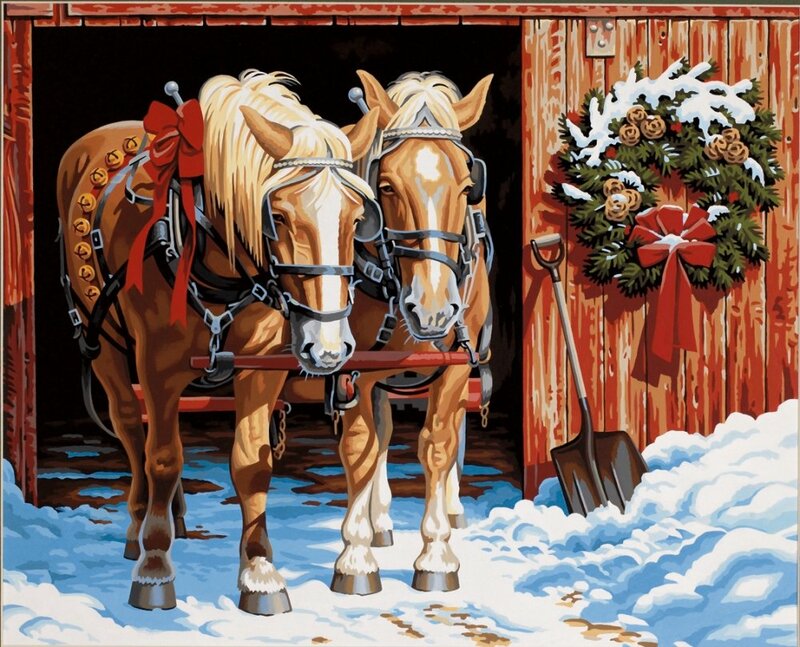 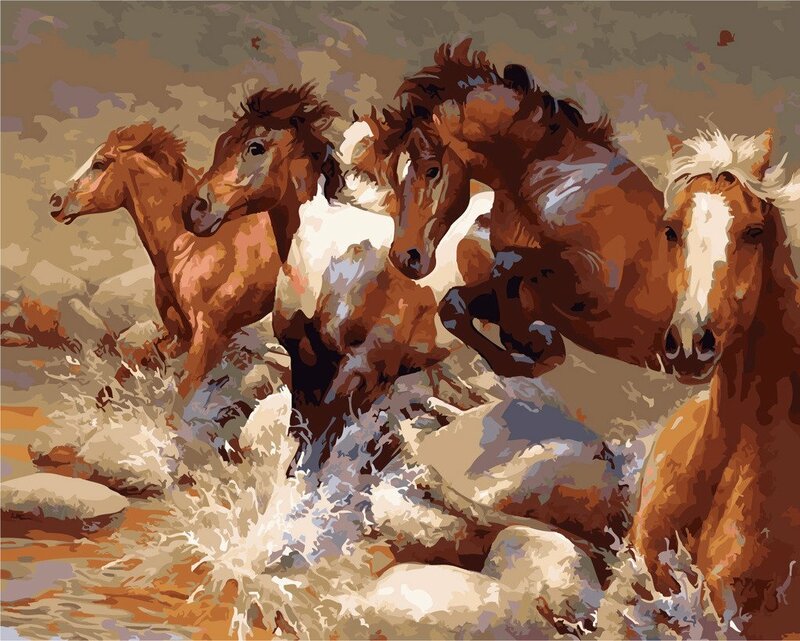 This Horse Paint by Number kit of three horses running side by side measures 16 inches by 20 inches. 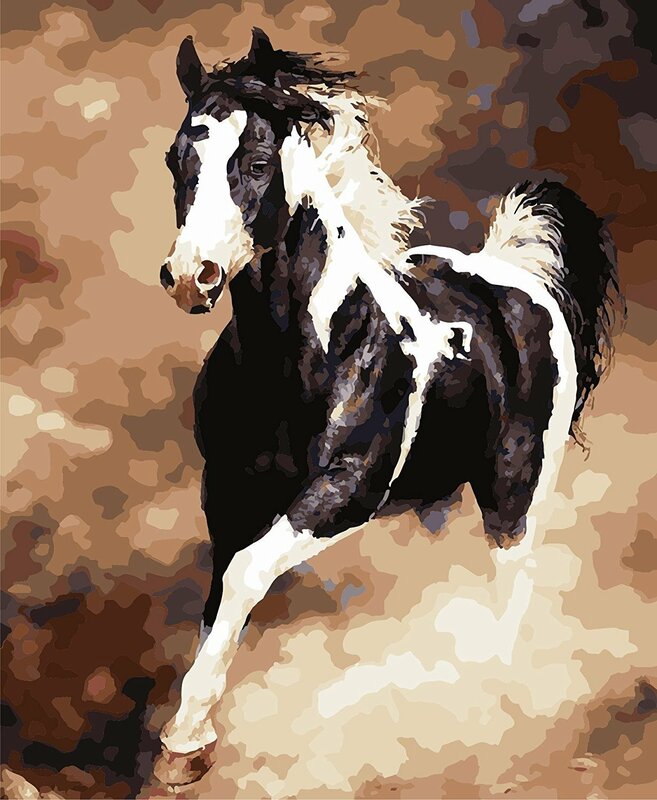 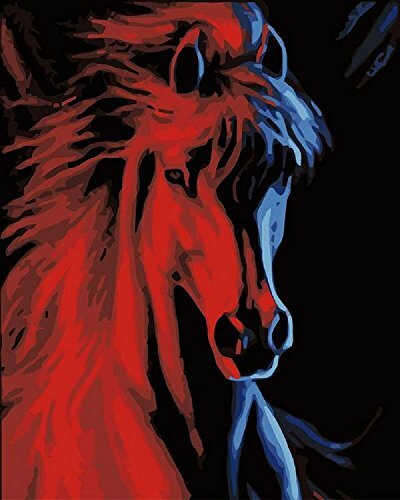 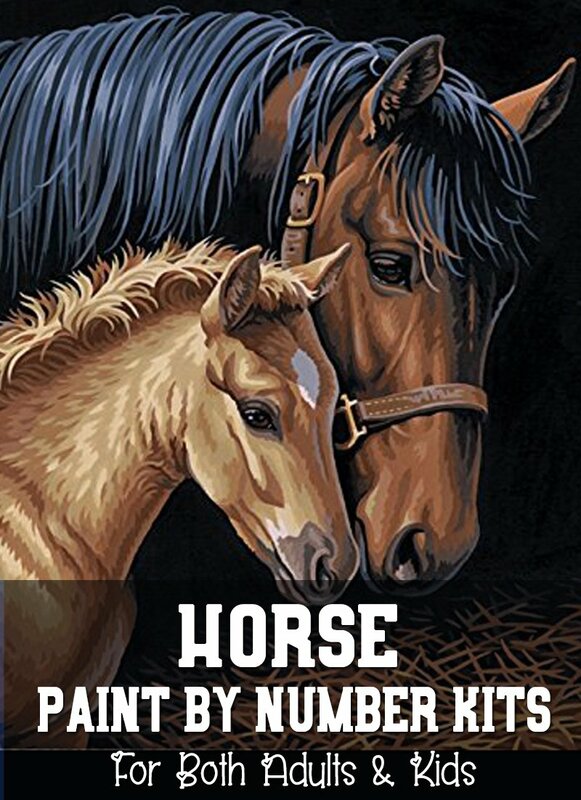 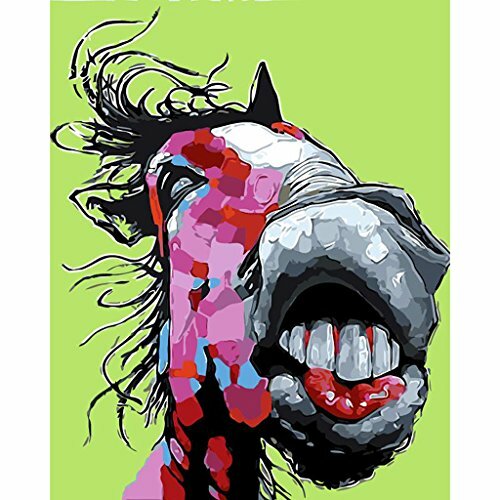 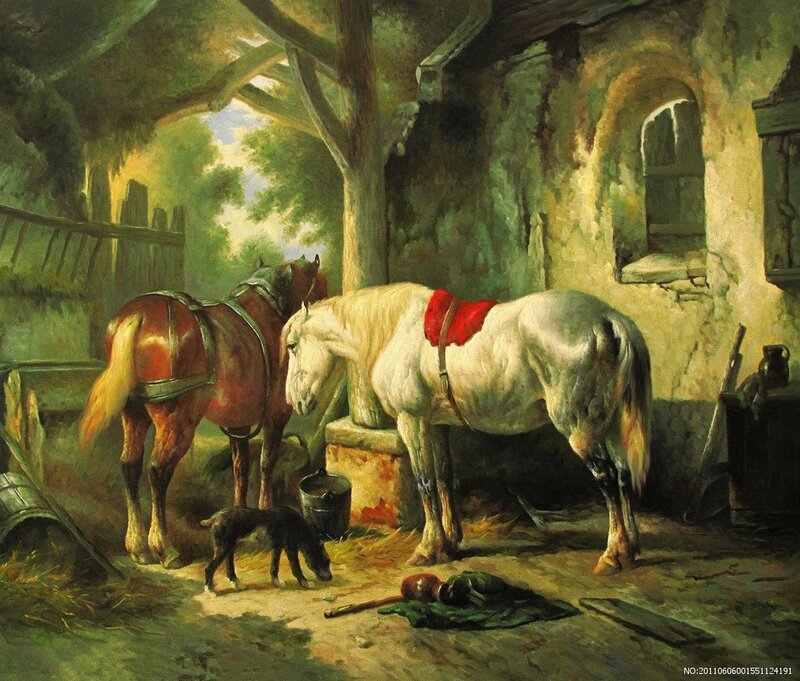 We hope that you enjoyed this page on Horse Paint By Number Kits!